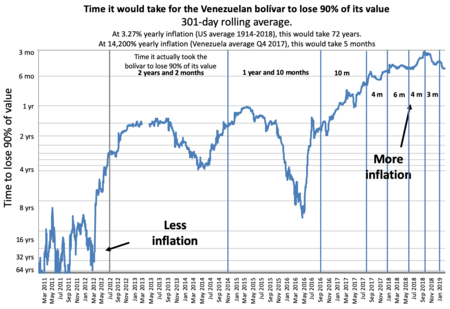 In the early 2000s when oil prices soared and offered Chávez funds not seen since the beginning of Venezuela's economic collapse in the 1980s, Chávez's government became "semi-authoritarian and hyper-populist" and consolidated its power over the economy in order to gain control of large amounts of resources. Domestically, Chávez used such oil funds for populist policies, creating the Bolivarian missions, aimed at providing public services to improve economic, cultural and social conditions. 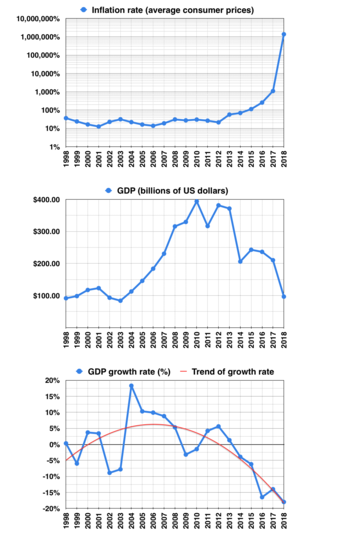 From 1999–2009, 60% of government revenues focused on social programs[better source needed] while social investment went from 8.4% of GDP in 1988 to 18.8% in 2008. [better source needed] Despite warnings near the beginning of Chávez's tenure in the early 2000s, Chávez's government continuously overspent in social spending and did not save enough money for any future economic turmoil, which Venezuela faced shortly before and after his death. 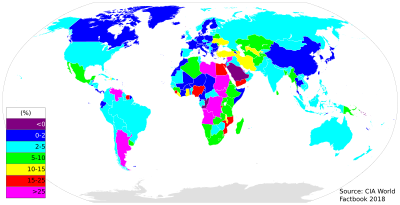 On the year of Chávez's death, Venezuela was still categorized as having high human development on its Human Development Index in 2013 according to the United Nations Development Programme, although human development began to decline in Venezuela within a year, with the country dropping 10 ranks by 2014. Since starting in 2003, the free government program Mission Robinson had taught more than 2.3 million people to read and write as of 2012. The program also focused much of its attention on reaching out to geographically isolated and historically excluded members of the population, including indigenous groups and Afro-descendants. [better source needed] In 2008, Francisco Rodríguez of Wesleyan University in Connecticut and Daniel Ortega of IESA stated that there was "little evidence" of "statistically distinguishable effect on Venezuelan illiteracy" during the Chávez administration. The Venezuelan government claimed that it had taught 1.5 million Venezuelans to read, but the study found that "only 1.1m were illiterate to begin with" and that the illiteracy reduction of less than 100,000 can be attributed to adults that were elderly and died. The Bolivarian missions are a series of over thirty social programs implemented under the administration of former Venezuelan president Hugo Chávez and continued by Chávez's successor, Nicolás Maduro. The programs focus on social justice, social welfare, anti-poverty, educational, and military recruiting. They draw their name from the historical South American hero, Simón Bolívar. Socialism of the 21st century is an interpretation of socialist principles first advocated by German sociologist and political analyst Heinz Dieterich and taken up by a number of Latin American leaders. Dieterich argued in 1996 that both free market industrial capitalism and 20th-century socialism have failed to solve urgent problems of humanity like poverty, hunger, exploitation, economic oppression, sexism, racism, the destruction of natural resources, and the absence of a truly participative democracy. Socialism of the 21st century has democratic socialist elements, but it primarily resembles Marxist revisionism. Venezuela is one of the world's largest exporters of oil and has the world's largest proven oil reserves at an estimated 296.5 billion barrels as of 2012. The Bolivarian diaspora, the largest recorded refugee crisis in the Americas, refers to the emigration of millions of Venezuelans from their native country during the presidencies of Hugo Chávez and Nicolás Maduro due to the Bolivarian Revolution. The revolution was an attempt by Chávez and later, Maduro to establish a cultural and political hegemony which culminated in the crisis in Bolivarian Venezuela when their populist policies failed. The resulting refugee crisis has been compared to those faced by Cuban exiles, Syrian refugees and those affected by the European migrant crisis. The Bolivarian government of Venezuela has denied any migratory crisis, stating that the United Nations and others are attempting to justify foreign intervention within Venezuela. 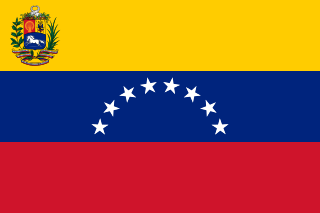 On 14 April 2013 Nicolás Maduro was elected President of Venezuela, narrowly defeating opposition candidate Henrique Capriles with just 1.5% of the vote separating the two candidates. Capriles immediately demanded a recount, refusing to recognize the outcome as valid. Maduro was later formally inaugurated as President on 19 April, after the election commission had promised a full audit of the election results. On 24 October 2013, he announced the creation of a new agency, the Vice Ministry of Supreme Happiness, to coordinate all the social programmes. The petro, or petromoneda, launched in February 2018, is a supposed cryptocurrency issued by the government of Venezuela. As of August 2018 it does not appear to function as a currency.